This special blend of all-natural oils and cleaning agents breakdown sugars and other food particles. The natural oils will not damage the finish of your cast iron cookware, it&apos;s safe to use on all seasoned and enamel pieces. 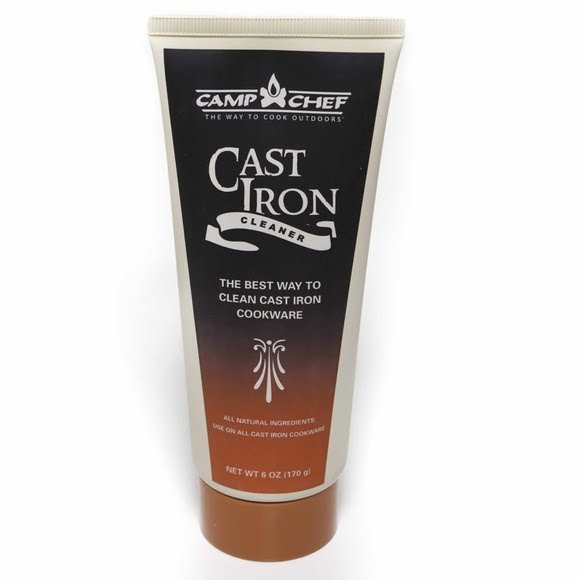 For best results, follow up with some Camp Chef Cast Iron Conditioner to protect your iron with a fresh layer of seasoning.